Recently we were lucky enough to meet a group of fantastic year seven students at Petchey Academy in Hackney. The history department invited us in to talk about some inspiring women from the East End, and gave us the chance to ask the group of 70 students for some of their thoughts about history and museums. Where are young people's stories? One of the questions we asked was whether they had seen any stories about young people or teenagers in a museum. There were a few examples, including teenage boys joining up to fight in the First World War, some sad stories about Victorian childhood, and a moving exhibition about Ben Kinsella, a teenage victim of knife crime. Someone also said they had seen a road safety poster in the museum foyer with a picture of a dead teenager on it. Older people achieve things? Teens are trouble? We thought that there might be some answers along these lines so we had brought along some information about four amazing, brave young women from the East End to share with the students and hopefully challenge these ideas. 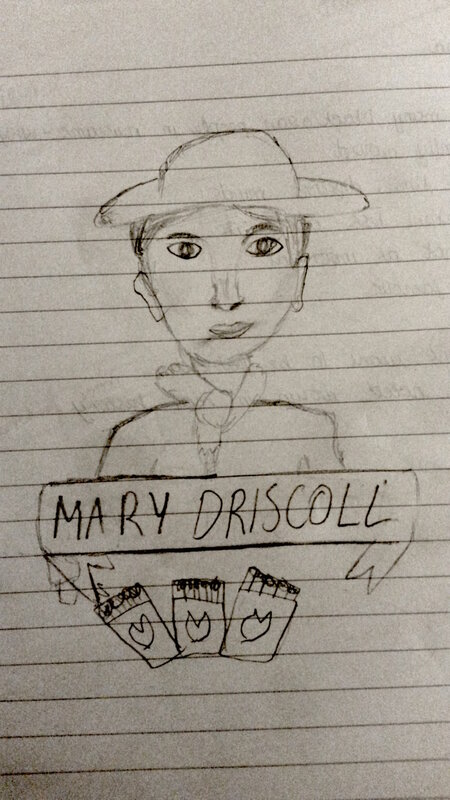 Mary Driscoll, who at 14 was one of the leaders of the Bryant & May matchwomen's strike. She and her friends not only won better pay and conditions for all the factory workers in 1888 but launched the modern trade union movement. Later in life she survived a violent marriage and became a successful shopkeeper. She used to say: "Always hold your head up. Remember you’re as good as anyone." Amelia Harris, a bright and independent young woman who grew up in Hoxton in the early 1900s, the daughter of Jewish immigrants from Russia. Although she had a scholarship place Amelia - Millie - had to leave school at 14 as her parents couldn't afford a school uniform. From her start selling boot polish in the street, Millie became a seamstress (she made her sister's wedding dress) and then one of the first women insurance agents, before starting her own dressmaking business in Bethnal Green. Josie Woods, a black British dancer who was first spotted age 14 by international music hall star Belle Davis on a visit to Canning Town in 1926. After some training Josie went to Paris with Belle and joined the La Revue Negre, following in the footsteps of Josephine Baker. Josie had a successful career as a dancer, appearing in numerous stage shows and films. On the set of one film she led her fellow extras out on strike over late pay. In 1940 she starred in the 'Jitterbug Jamboree', which launched the jitterbug craze in Britain. We asked all the students to get into groups and choose one of the four women and to create a comic strip, a magazine cover, an exhibition board or a Q&A interview about them. You can see some of their fantastic work in a gallery below. Most students chose Annie, and when we asked them why they said it was because she was "strong", "inspiring", and because "she shows that anybody can do anything if they try and you can be whatever you want." One student said she had chosen her because she was a fan of the Bella sisters, and another because "boxing looks good in a comic strip", which is fair. A few groups chose Mary, because she was "brave", she "worked hard", and "if she hadn't stood up and said what she thought things wouldn't have got better." 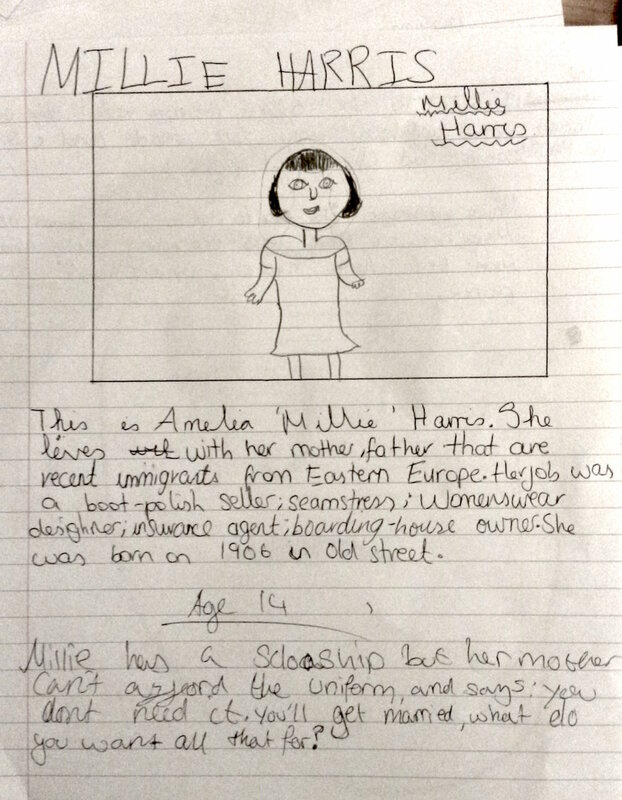 One group chose Amelia, because "she tried to look after her family", and because "she loved her sisters". We had some fascinating discussions and learnt a huge amount from the pupils at Petchey Academy. We were very impressed at how engaged and enthusiastic they all were, and it was particularly encouraging to see that the boys were just as keen as the girls. Gallery of students' work (click the thumbnail images to see a larger version). We love these so much.